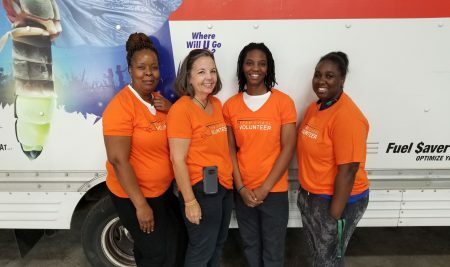 Just outside St. Louis, the Smith family received an unexpected surprise this Mother’s Day thanks to the First Things First Foundation and one of its primary sponsors: U-Haul. 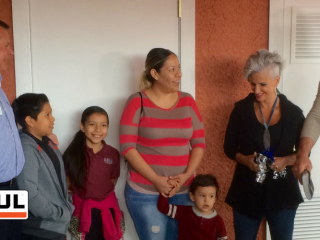 As a result of the Homes for the Holidays project, the family of three was gifted a fully furnished home. 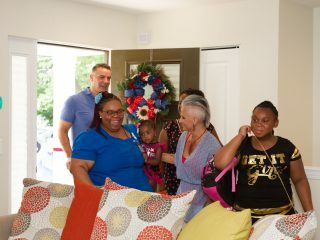 The First Things First Foundation, started by NFL Hall of Fame quarterback Kurt Warner and his wife, Brenda, assists two low-income, working single-parent families each year in the St. Louis area by helping them achieve their dream of home ownership. 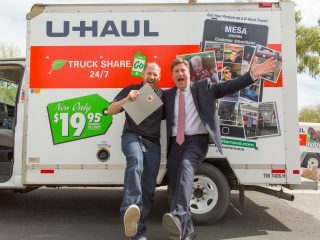 The foundation also assists families in Arizona, where U-Haul is also a proud partner. 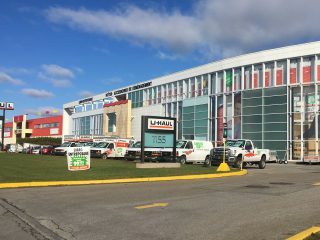 For the last decade, U-Haul has partnered with the Warners and First Things First. 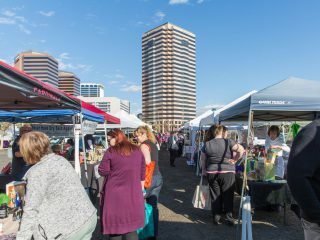 The partnership has enabled Team Member volunteers in St. Louis and Phoenix to shop for the homes, decorate the homes, and attend the home reveals. Before the Smiths connected with homebuilder Habitat for Humanity, they were renting a two-bedroom, 600-square-foot home. The rental did not have a backyard for the children to play outside. In addition to fully furnishing every home, volunteers take into consideration the interests and preferences of each future resident. 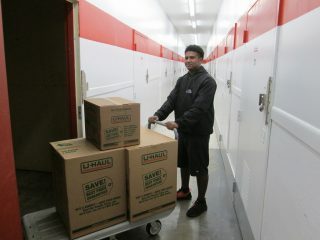 Once given the bedroom colors and themes, U-Haul volunteers begin their search for the perfect items. General Manager Erica Norman of U-Haul Moving & Storage of University City has volunteered three years in a row with Homes for the Holidays. On May 7, the Smiths arrived at their new home to find the Warners and U-Haul volunteers waiting. The Warners’ surprise appearance, in addition to the ribbon cutting and customary prayer of thanks, added to the moment. The Smiths’ ranch home has three bedrooms and one bathroom. A full basement contains a washer and dryer hookup. And each bedroom is decorated to the liking of its occupant. 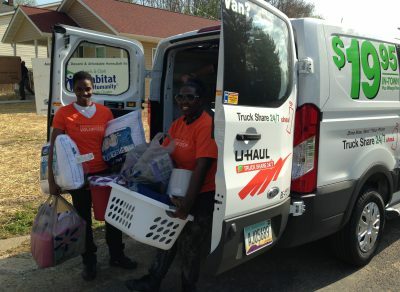 U-Haul enriches the communities in which we do business by assisting charitable organizations that address the most basic human needs: food, clothing and shelter. 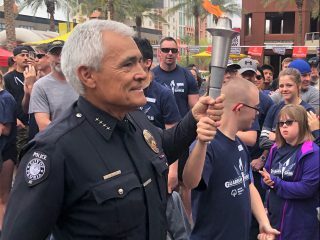 This has long been the scope of the Company’s community outreach because we view mobility as a basic need for every family, and work to keep costs low to meet that need. 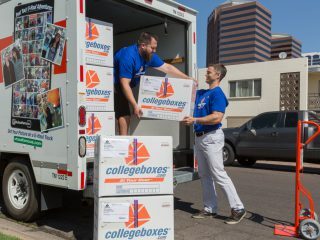 Co-founded by a WWII Navy veteran in 1945, U-Haul is also a proud supporter of many military and veteran groups and causes that provide for these basic needs. 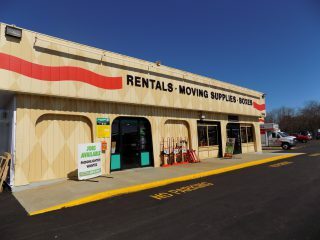 Thank you to U-Haul Team Members and their family members who assisted: Karen Jackson, Sharon Nelson, Rachel Norise, Erica Norman, Colleen Reome and Ray Reome. Did you know U-Haul Team Members in Phoenix recently volunteered with Habitat for Humanity to build a home for a family in need?